For the past decade marketers have prioritized Millennials, but as that generation has settled into adulthood—the oldest Millennials will begin turning 40 next year—it’s time to connect with the people who will be driving the economy and culture in the years to come. Enter Gen Z. The oldest members of this generation were born in the mid-1990s and are now poised to make their mark on the world as citizens, consumers, and professionals. It’s essential for all brands to understand and strengthen relationships with this demographic in order to secure their futures. For that reason, Re:think—The Atlantic’s creative marketing team—executed a comprehensive research study to better understand young adults aged 18 to 24. The study, which was conducted in partnership with Harvard College Consulting Group and Comscore, found that the media outlets, brands, and careers that appeal to Millennials aren’t as enticing to Gen Z—with the post-Millennial generation proving harder to win over. So, how can brands connect with this increasingly powerful but hard-to-get generation? Here are 5 of the most important insights to keep in mind. Savvy and skeptical consumers: Gen Z have higher expectations for brands than Millennials, and they’re less likely to be brand loyal. 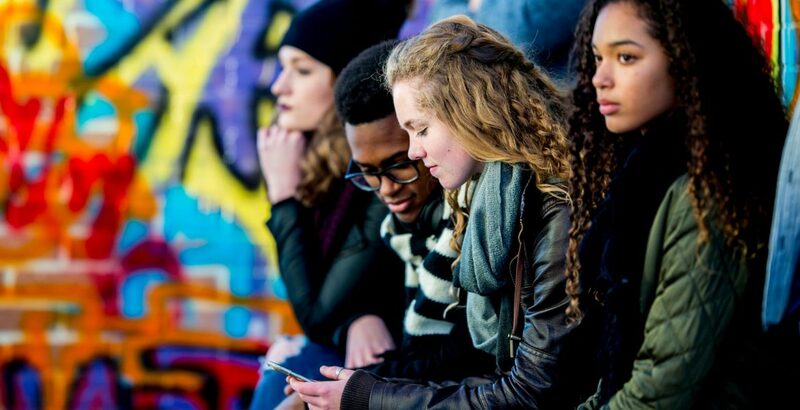 24 percent of Gen Z respondents believe the brand matters “a lot” in a technology purchase, compared to 28 percent of Millennials. Less Love, More Social Responsibility: When asked to rate 60 brands on a spectrum from “hate” to “love,” only two brands received a higher love score from Gen Z than from Millennials. In order to appeal to them, brands will need to adopt the characteristics most important to Gen Z. For example, 82 percent said social responsibility was a very important or an important characteristic of their favorite brands. Personal Recommendations and Social Media Drive Action: When searching for new brands, Gen Z are most heavily influenced by a recommendation from a friend or peer (55 percent) and a brand’s social media activity (48 percent). Influencers held more sway than celebrities (36 vs. 24 percent), but both carry more weight for Gen Z than they do for Millennials. IRL Experiences Matter: Despite the fact that Gen Z spend the majority of their time online, they still crave brand experiences—especially if those experiences are Instagrammable. 82 percent say experience (how enjoyable it is to visit and/or shop in a brand’s brick-and-mortar store) is an important factor in driving brand favorability. And, while they’re more likely to buy online, physical stores are key: Gen Z are three times more likely to discover new brands in-store versus online. Millennial Media is Not a Fit for Gen Z: Gen Z are twice as likely as Millennials to favor news outlets established before 2000 over emerging media companies. As one survey respondent put it: “Some of the more Gen Z-oriented news sources are pretty patronizing…in a way that presumes that people who are young are also stupid.” Gen Z also have different content and format preferences from Millennials: They have a greater affinity for art and design, entertainment, and advice content and are more likely to interact with video. (*source: Comscore Media Metrix Multi-Platform, Audience: 13 – 24, January 2018 – December 2018, US).